With all the bad things which happened this week, we should be relieved that the term nuclear option did not pertain to this week’s military action, in which Donald Trump showed his compassion for the Syrian children he has banning from entering the country by bombing Syria. Stephen Colbert explained the nuclear option, which culminated in the confirmation of Neil Gorsuch to the Supreme Court, in the video above. He also managed to show that John McCain is a stupid idiot. Colbert then transitioned, “Speaking of stupid idiots, Donald Trump…” See the video above for the rest. 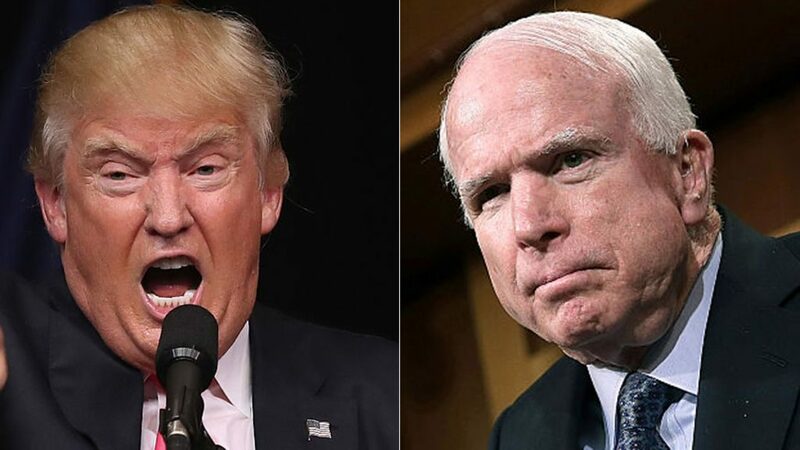 As for McCain, if we need more evidence that he is a stupid idiot, today he praised Trump’s airstrikes against Syria.